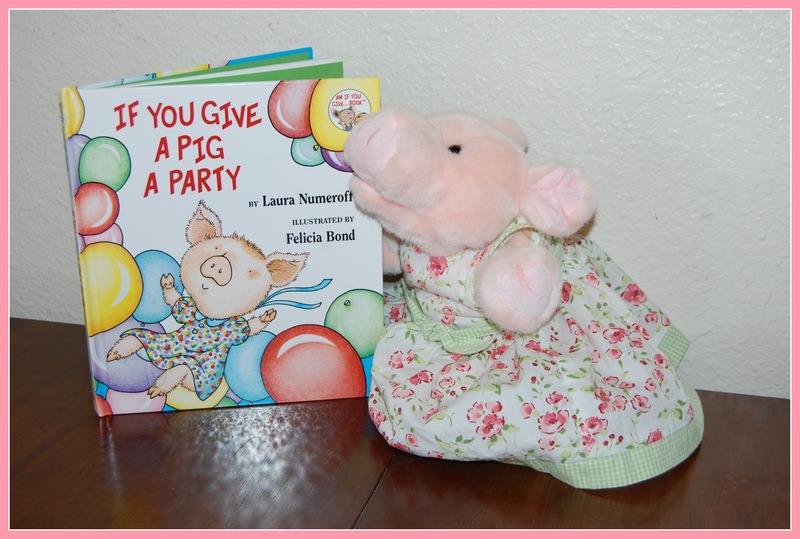 Mom of My Dreams: If You Give A Pig A Party Day! If You Give A Pig A Party Day! On March 4th at 7pm we took the girls to The Magik Theatre to watch a theatrical performance of one of their favorite books "If You Give A Pig A Party". We got there early and sat in the second row! 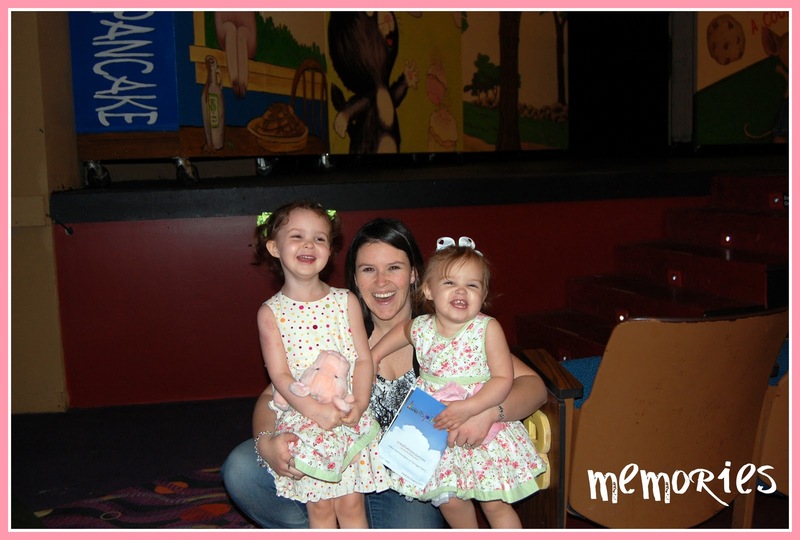 But first, I made a day of it with the girls to get them excited about seeing the show! We did activities based on the scenes from the book. I drew some coloring sheets for them of items from the book. I'm no artist but I couldn't find a lot online to print out so just made my own. 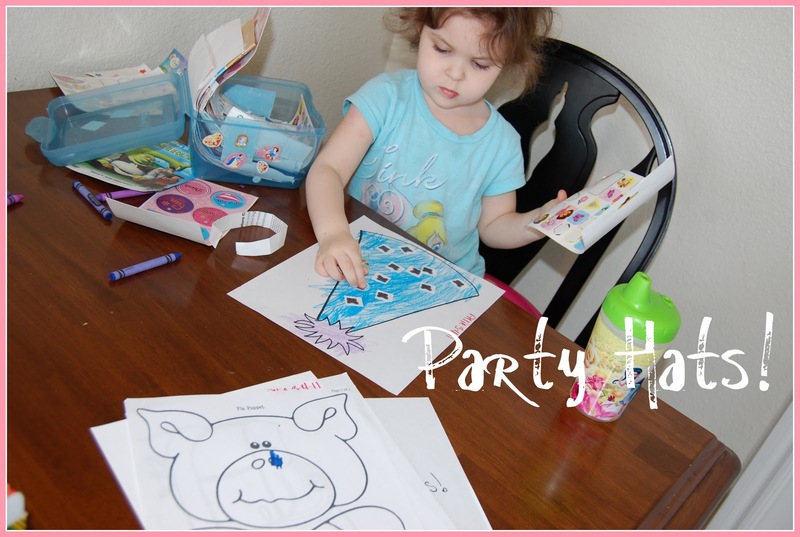 If you give a pig a party, she's going to ask you for balloons! 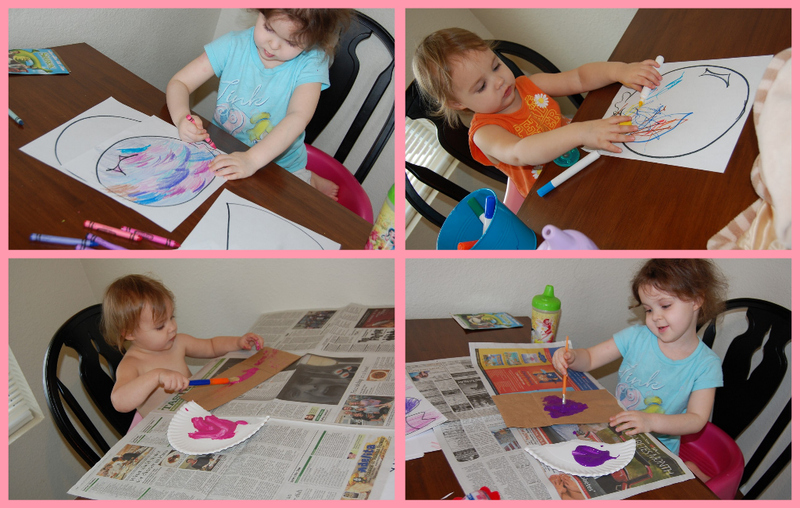 The girls colored balloons then painted paper bags for their pig puppets. Allie and I designed a couple party hats while Kenzie took a nap. 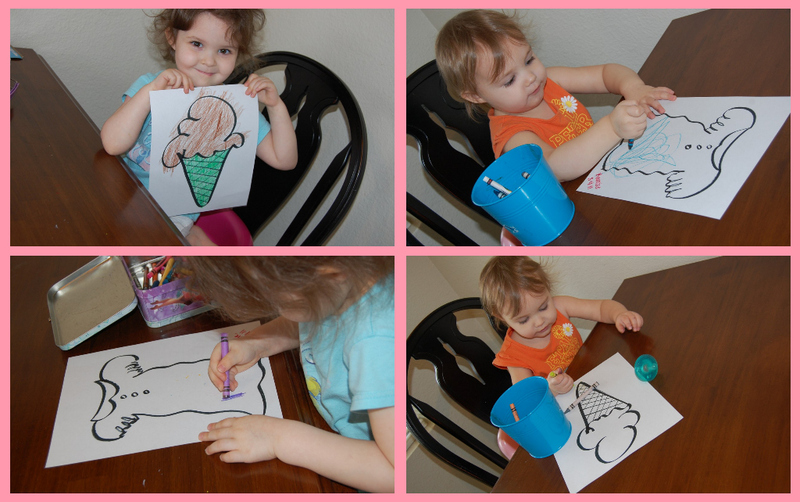 She's going to ask you for some ice cream and she will want to put on her favorite dress! 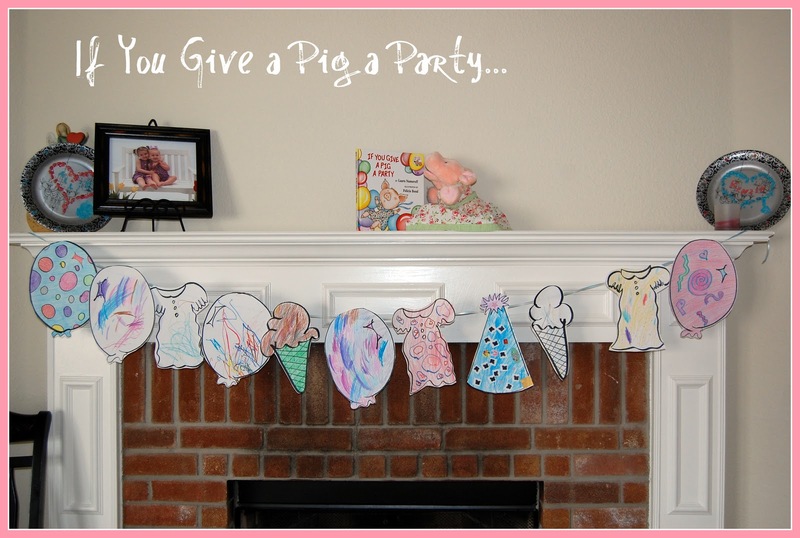 We made a banner with our creations. 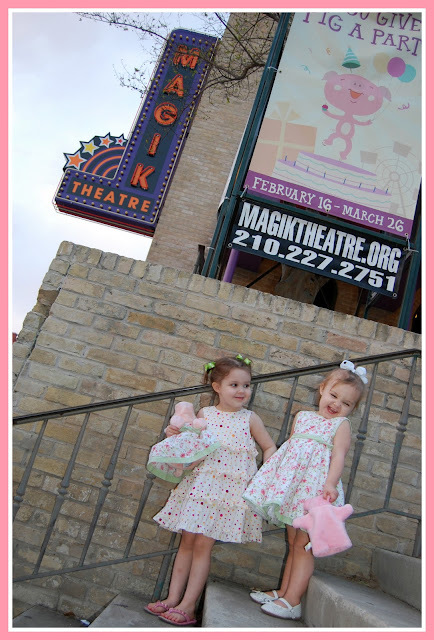 We headed downtown to The Magik Theatre. 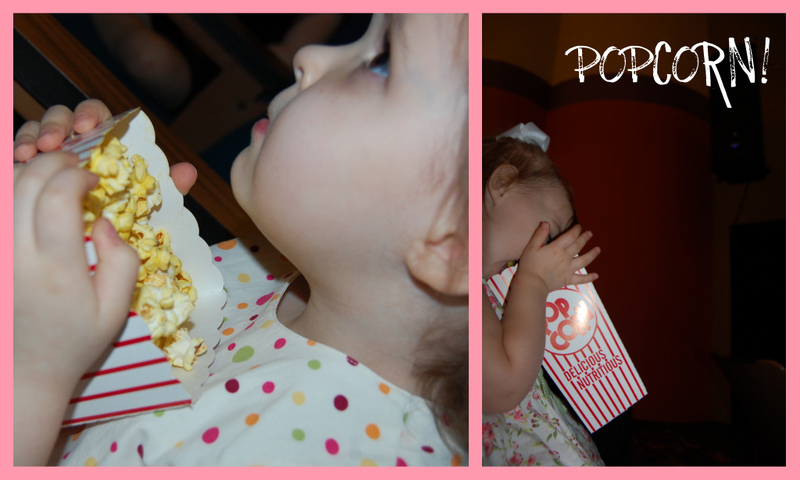 Our first time there and again we LOVED it! No pics allowed during the show. Time to meet the cast and get autographs! I knew the girls would love the pig, at least I thought they would. 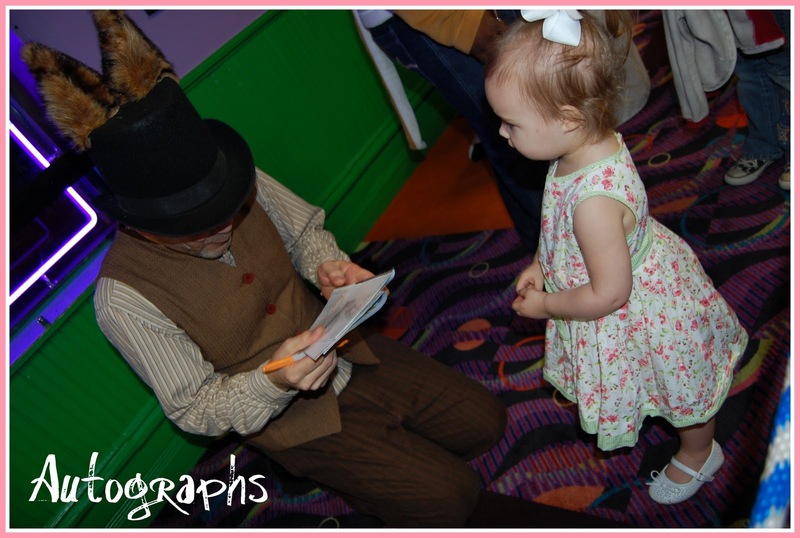 Allie surprised me by announcing her favorite character was the girl in the orange shirt. The girl in the orange shirt was surprised too! 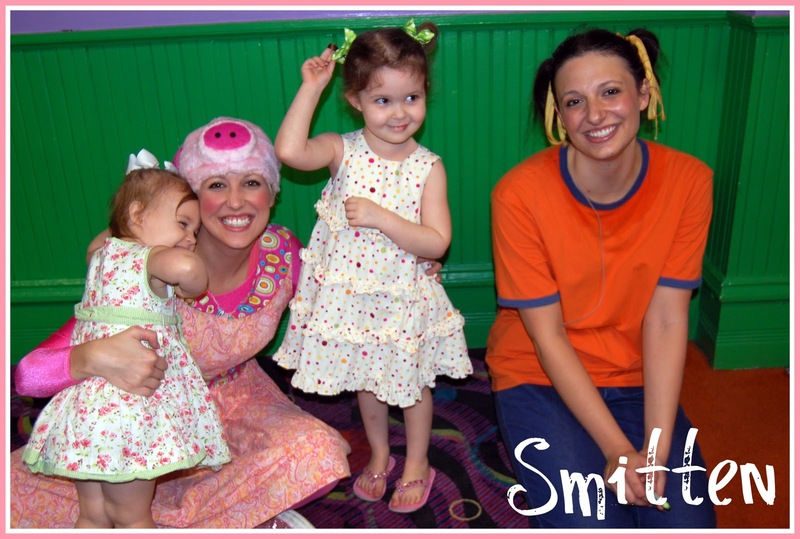 Most kids love the pig of course. 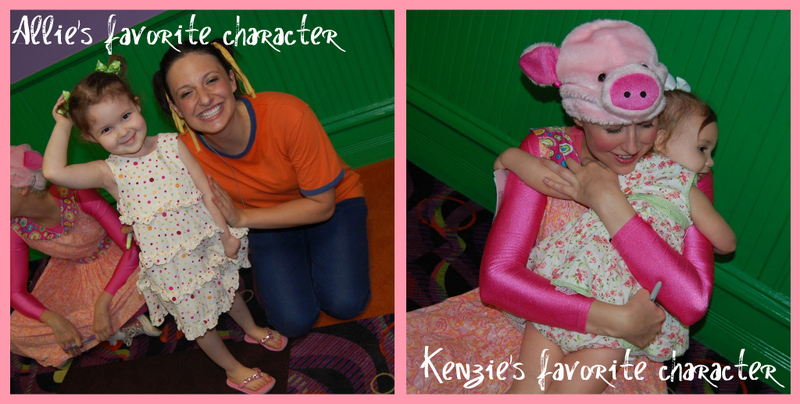 Kenzie LOVED the pig. She flew into her arms...and stayed there. 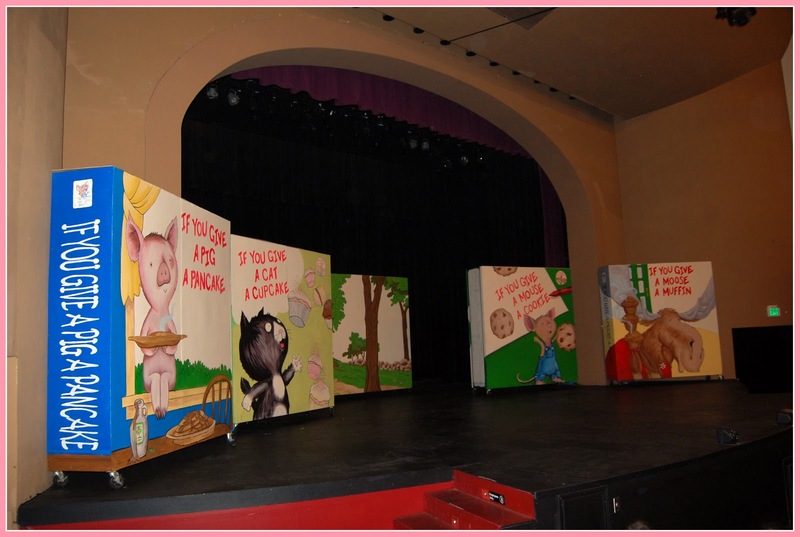 We will be visiting The Magik Theatre again for Charlotte's Web and Pinkalicious this spring and summer! If you haven't yet, check them out!